The week after the international break usually has some surprises with form interrupted and some players returning with tired legs or injuries, while the break has also given teams a chance to re-energize and coaches an opportunity to work on new tactics and strategies. Here’s how I’m expecting gameweek 12 to pan out this weekend. Click to read full match preview! Bournemouth have won three of their last four matches, having beaten Stoke, Middlesbrough, in the Carabao Cup, and Newcastle, before suffering a narrow defeat at home to Chelsea. Both of those league wins were away from home, with Eddie Howe's side winning just once at the Vitality Stadium in the league this season. Huddersfield have impressed on their turf this season, but they’ve struggled away from home, winning just once from five games. After their opening-day 3-0 victory over Crystal Palace, they’ve failed to score a goal while suffering three defeats. I’m going for the home win. Burnley have been impressive this season, sitting seventh in the league, level on points with Liverpool and Arsenal. Sean Dyche's side won their last two matches in the league, beating Newcastle and Southampton, both by 1-0 scorelines, and they’re unbeaten in four matches at Turf Moor. Swansea are 19th on the table and have lost their last four matches, including back-to-back defeats away from home. The Clarets are tipped to win at even money. Roy Hodgson's bottom-of-the-table Crystal Palace side are winless in four matches with three losses, including their 4-1 defeat at Bristol City in the Carabao Cup. However, the Eagles are undefeated in three matches at Selhurst Park, having beaten Huddersfield and Chelsea, before earning a late draw with West Ham. 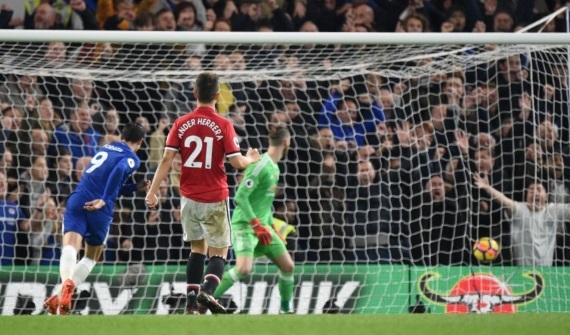 Everton snapped a five-match losing streak by recording a 3-2 win at home to Watford prior to the international break. The Toffees remain winless on the road this season, suffering three defeats from five games. I’m backing Palace to claim a much-needed win at 14/10. Claude Puel has done a fine job in steadying the Leicester ship, gaining four points from his opening two games, but the Foxes face a daunting task at home to Manchester City. Pep Guardiola's pace-setters have dropped just two points after 11 games, boasting 31 points and a +31 goal difference. Leicester have lost just once in their last four meetings against City, winning twice. However, Guardiola's side are much stronger this season and I expect them to come away with all three points. Take City to Win & Both Teams to Score at 27/20. Liverpool won their last three matches in all competitions comfortably. Two 3-0 wins over Huddersfield and Maribor, in the UEFA Champions League, followed with a 4-1 victory away at West Ham. Jurgen Klopp’s side are much stronger since Sadio Mane is back from injury and Adam Lallana could return to face his former side. Southampton are struggling in the league this season, but they have a good recent record against Klopp’s side. Despite most of their best players now at Liverpool, the Saints are unbeaten in their last four meetings against the Reds, winning three times. I’m going against the recent head to head stats here and backing the hosts to secure maximum points and maintain their unbeaten run at Anfield. West Brom are struggling in 16th place on the table and are winless in 10 matches with six defeats, including three on the trot. Tony Pulis' men have won just once at the Hawthorns this season and have lost their last two home meetings against Chelsea. The Blues come into this matchup high on confidence after recording a 1-0 victory over Manchester United prior to the international break. Antonio Conte’s men are targeting a fourth straight league win and with Alvaro Morata back to his best, the champions should claim all three points. Manchester United will be looking to bounce back from their 1-0 defeat at Chelsea last time out. Jose Mourinho’s men have won just once in their last four league matches, but they’ll be confident of returning to winning ways against Newcastle as they’ve won all five of their games at Old Trafford, scoring 15 goals without reply. Rafael Benitez’s side have suffered back-to-back defeats in the league and are winless in their last three away games. The home win is a top bet this weekend. Watford are looking to end a three-match losing streak when they host West Ham on Sunday. Marco Silva's side have been better off on their travels this season. At Vicarage Road, they’ve won just once with two defeats and two draws from five games. West Ham are currently in the relegation zone and winless in four matches. They’re yet to win away from home from six matches played, suffering three defeats. Both of these teams have had little trouble getting on the scoresheet in recent weeks, so I’m going for Both Teams to Score at 7/10. Brighton are undefeated in their last four matches with two wins, both coming on their travels. At home, Chris Hughton's men have lost just once, against Manchester City, and are now unbeaten in four games with back-to-back draws. Stoke have won just once in four games with two defeats, while their 1-0 win at Watford last month was their only away victory from six matches – they’ve lost four times. I wouldn’t have a bet on this game, but I think the sides will cancel each other out.